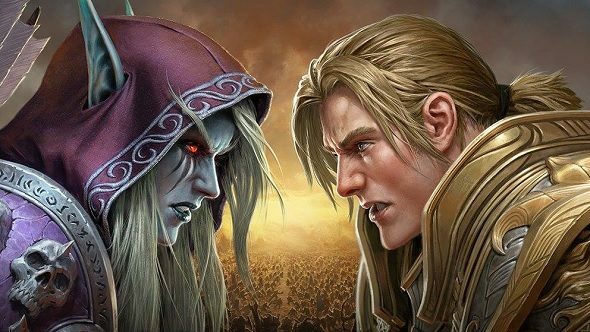 Ahead of the release of the next World of Warcraft expansion, Battle for Azeroth, later this week, Blizzard has revealed a timeline for major events occuring at the beginning of the expansion. After Battle for Azeroth begins, you’ll have about three weeks to work your way up the ranks, before events kick off in early September. The first thing you’ll need to do is work to bring the expansion’s two new allied races into the fight – the Mag’har orcs and the Dark Iron dwarves. You’ll need to earn their loyalty by meeting three different requirements – you’ll have to reach the new level cap of 120, become exalted with either the 7th Legion or The Honorbound (depending on whether you’re an Alliance or Horde player) and complete the War Campaigns in Kul Tiras and Zandalar. After that, of course, come the raids. According to the calendar, there are a total of eight raid bosses at the beginning of the expansion, which have escaped from the underground research facility of Uldir. You’ll have to wait a few weeks before the normal and Heroic raid difficulties open on September 4. They’ll be followed up a week later by the Mythic difficulty, as well as the first Raid Finder raids. The second set of Raid Finder raids will release on September 25, and all raids will be fully available by October 9. It’s not all about the raids, of course. The first Battle for Azeroth PvP season kicks off on September 4 as well, with new rewards and two new areas. PvP will be accompanied by the first season of the BfA Mythic Keystone dungeon, which introduces a new affix, Infested. WoW players have just found out who’s responsible for the Burning of Teldrassil in a new cinematic ahead of the Battle for Azeroth release date on August 14. You can check that new cinematic out in the video above, and expect a final short to drop next week.